The state Attorney General's Office is considering filing felony embezzlement charges against a Bay Area district attorney for his alleged personal use of campaign funds, according to court documents obtained by NBC Bay Area on Tuesday. 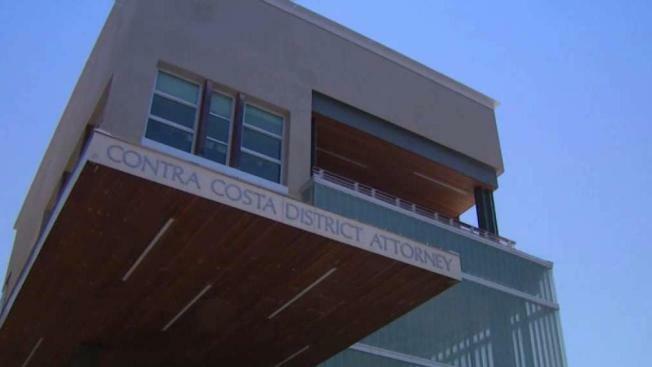 The investigation into Contra Costa County District Attorney Mark Peterson stems from his alleged use of $66,000 in campaign monies for personal expenses, according to an affidavit filed by the state AG's Office. A search done last month of Peterson's bank accounts revealed campaign committee funds were used to pay for items at grocery and jewelry stores and other retailers such as Guitar Center, court documents show. Committee funds were also transferred multiple times into Peterson's personal bank accounts. According to a search warrant return, investigators last week detained Peterson in Antioch while they seized his iPhone, iPad and appointment calendar as evidence to support felony charges. "There's no doubt that what's happened to Mr. Peterson casts shadows over the employees at the office and the good work we do every day," deputy district attorney Kristen Busby said. Peterson says he simply borrowed the money and had intended to pay it back. But the affidavit says Peterson failed to disclose he'd borrowed any money. Investigators are also considering possible felony perjury charges. Both prosecutors and defense attorneys said the criminal investigation is warranted. "The appearance is horrifying. The appearance is somebody who's committing crimes is prosecuting other people," defense attorney Dan Russo said. "He's a bright guy, he's a good lawyer. What was he thinking?" Peterson not only faces the possible criminal charges, but a civil grand jury also filed an accusation calling for his removal from office. He will appear before a judge on that matter Wednesday. Peterson did not respond to repeated requests for comment Tuesday.